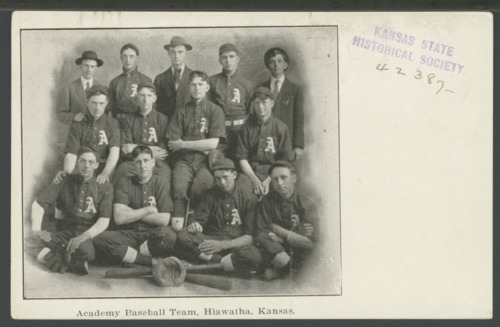 This postcard is a studio portrait of the Hiawatha Academy baseball team. The image is undated, but it was likely made between 1905 and 1915. The Hiawatha Academy was an educational institution that accepted its first students in the fall of 1888. It ceased operation at the close of the school term in May 1915.